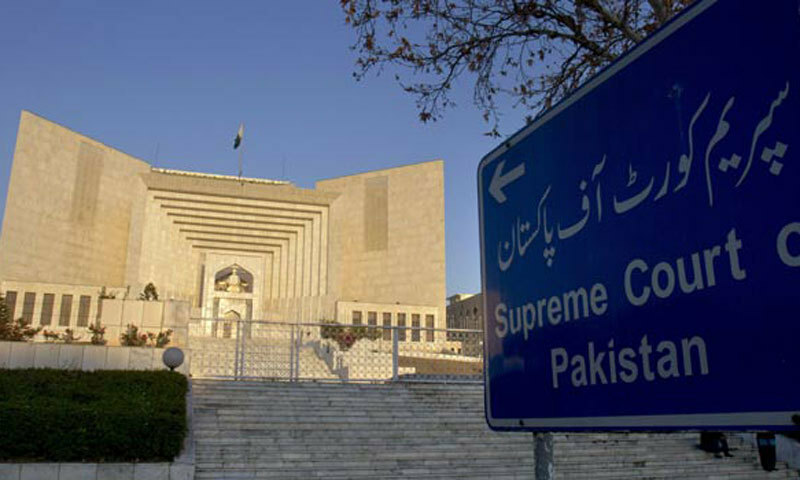 A Supreme Court bench headed by Chief Justice Mian Saqib Nisar on Thursday heard a set of petitions challenging the Elections Act 2017, filed by Pakistan Tehreek-i-Insaf chief Imran Khan, Awami Muslim League chief Sheikh Rashid Ahmed, the Pakistan Peoples Party and 10 others. “A corrupt party leader corrupts the entire structure of the party,” Justice Ijaz ul Ahsan remarked during the day’s proceedings. “A disqualified individual can gather 10 people, form a party and then use them [to further his agenda],” he remarked. He was likely referencing the PML-N, which is currently being presided over by Sharif. “How can a person who has been punished [and disqualified] lead a party?” the judge asked Raja. “[By that logic,] can a dacoit and the ringleader of a drug mafia or a person involved in serious crimes also become the leader of a political party?” the chief justice asked rhetorically. During the hearing, the chief justice pointed out that the party ticket issued by PML-N to its new recruit, Mushahid Hussain, bore the signatures of Sharif, who was ousted from the office last year following the Panama Paper investigation. At this, Raja said that the article 62, 63 of the Constitution pertains to disqualification and that the Election Act 2017 is not in conflict with the Constitution. Raja told the court that anti-apartheid revolutionary Nelson Mandela had also spent 27 years in jail, implying that his incarceration did not affect his ability to become the African National Congress and South Africa’s president. “Those cases on Mandela were political, not criminal,” Justice Nisar reminded the counsel. Justice Ahsan said that any attack on court is a violation of Article 5 of the Constitution and could lead to action in accordance with Article 6. Justice Nisar then explained that the verdicts by foreign supreme courts hold little value in Pakistan: “The US Supreme Court permits the burning of flags, allows a convict to become party leaders and thinks that homosexuality is fine,” he stated, ostensibly giving examples of differences between the laws of the two countries. The case’s hearing was adjourned till February 21.